I often thought that when my husband fully retired from work, we would probably spend two or three days a week geocaching, venturing further and further afield as we put smilies on the map. How wrong I was !! It seems that now he doesn’t work (I also sold my business a couple of years ago – so I am officially ‘retired’ as well) we are busier than ever. But I’m not quite sure what with. Ok, I know we are beach bums in the good weather and we spend much of our summers on the Isle of Wight enjoying the company of good friends and the good services of our local Wonky beach cafe, but we seem to be doing less and less geocaching. Not that we don’t want to, but life is so different and we are enjoying it so much, but I am determined to make 2016 a year of finding some lovely new caches in various locations. It’s not a race to see how many smilies we get, nor are we competing with anyone, but geocaching is still one of our favourite hobbies; cooking being my most favourite !!! Back in December, we took an unscheduled few days away down the South Coast; an area I have loved all my life. It came about as I had booked a B & B for mid-February as we have been invited to a party on the South Coast and we thought it would be rather nice to spend a few days away rather than just an overnight trip. I felt like an idiot when I realized that the B & B was a good few miles distant from where we were supposed to be, so I persuaded Cockrobbinn that it would be really pleasant to spend a few days mid-December before the hustle and bustle of Christmas and we could do some geocaching. Thankfully, the B & B changed the booking. The morning we left dawned grey, damp, drizzly and cold – not an auspicious start – but at we crossed the South Downs the sky broke and by the time we reached the lovely village of Bosham, it was a beautiful blue sky if not a bit chilly. 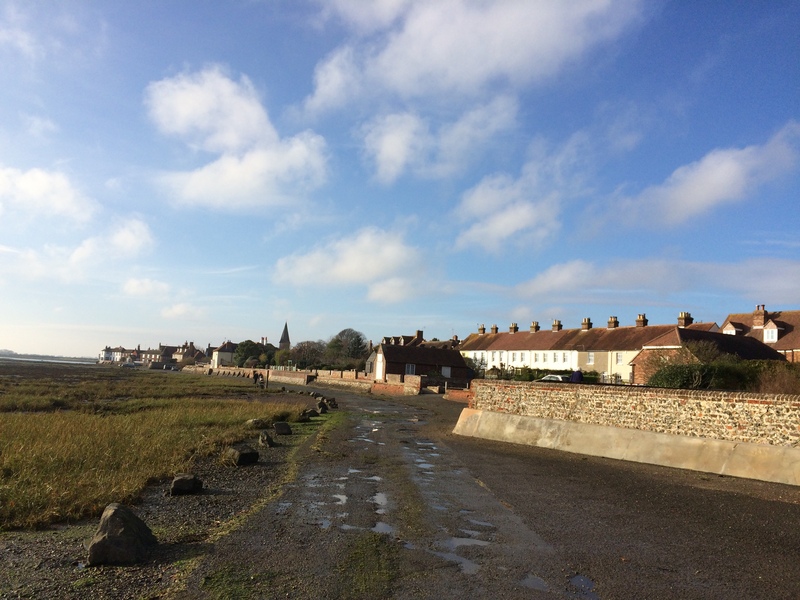 I love Bosham with its tidal road and after enjoying lunch in the quaint arts and craft centre we walked the tidal road towards our first cache. The cache was called Valentine’s Day and although the co-ordinates were quite a bit out, we guessed where the container was and soon had the log in hand. It wasn’t planned, but we had timed our outing perfectly as the next two caches were tide dependent and thankfully it was low tide although I wish we had thought to put on our wellies ! Sea Dog proved an exciting find among the rocks and Cockrobbinn excitedly pulled an ammo can from its hiding place. I’m not sure what it is with ammo cans, but we are always thrilled to find them. They usually hold lots of goodies and this was no exception. After replacing it carefully we made our way to the third cache along the shore, Taking Nerys to Water which was named after the wonderful Nerys Hughes of Liver Birds fame. For youngsters, this was a comedy in the early 70s. It was a lovely walk, if a little lot muddy with both of us holding onto overhanging trees to try and stop from slipping and sliding on the muddy shore. Unbelievably, Cockrobbinn had his ordinary black shoes on whilst I was wearing knee-high leather heeled boots. Will we never learn !!!! 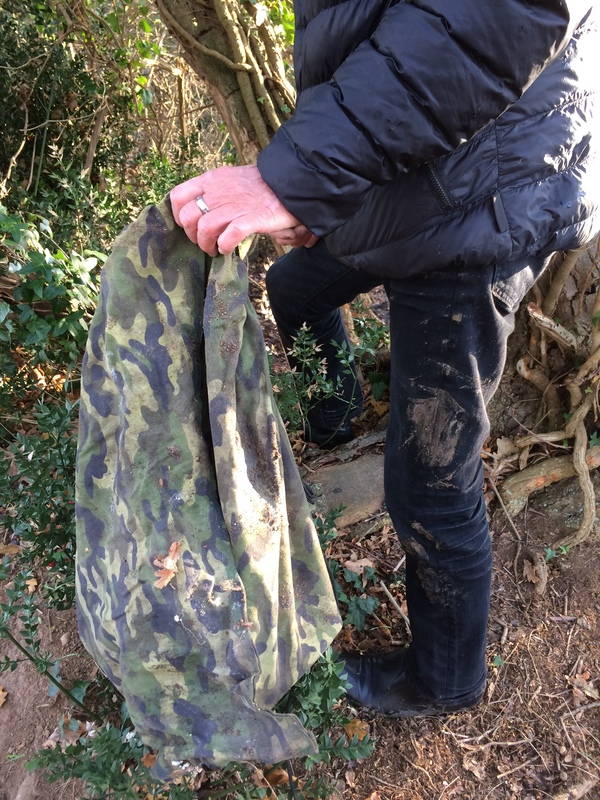 At last we found the cache which was in an enormous camo-bag well hidden behind a leaning tree. Log signed I turned around to make my way back when I heard a strangled cry and Cockrobbinn had slid into the mud whilst trying to return the bag to its hiding place. It was such a lovely sunny afternoon that he didn’t stay cross for long and we made our way slowly back along the shoreline and to dry ground. With the three caches found we decided to try and find our B & B which was a few miles back on the South Downs and the reviews had stated that quite a few visitors had difficulty finding the place. It was situated in a place called Walderton and the area really was beautiful. The house was difficult to find but we stopped off at the local pub to ask directions (even the sat-nav didn’t help) and eventually found the gates to the house which needed a code to open them – rather majestic! The pub, The Barley Mow, seemed to be in the middle of no-where but we returned that evening to sit beside a roaring fire and eat our evening meal. It was so good, we returned the following evening as well. Not related to geocaching, but we had an interesting experience with our B & B. I had booked a ‘very‘ nice place to stay – AA 4* with extremely good reviews. The house was absolutely stunning and set in beautiful countryside but 4* it was not. Without going into too much detail, it was “tacky”, needed a thorough overhaul and various bits and pieces put right. From when it was booked until we arrived, the rating had dropped from a 9 to 7 so it wasn’t just us. In the middle of one night (I couldn’t sleep) I decided to email the Automobile Association and ask how a hotel/B&B gained its stars and explained that we were far from satisfied with the rating. I was amazed to receive a reply at 7.03am the very next morning asking for all the details, our stay etc. Once home I sent all the information they wanted and the next day I received back an extremely informative email detailing what the area representative would do – visiting the property as a guest to see for himself the standard of the rooms. It seems the AA take their ‘stars’ very seriously and I was impressed with their very prompt response to what was basically a query. Needless-to-say, we won’t be staying at that particular place again. I won’t name and shame on this blog as I have done the necessary and left factual feedback on various sites. The next day dawned really frosty but dry so we decided to head towards Worthing – somewhere I hadn’t been for years and years. We parked at Ferring, overlooking the sea and ventured out into a gale. 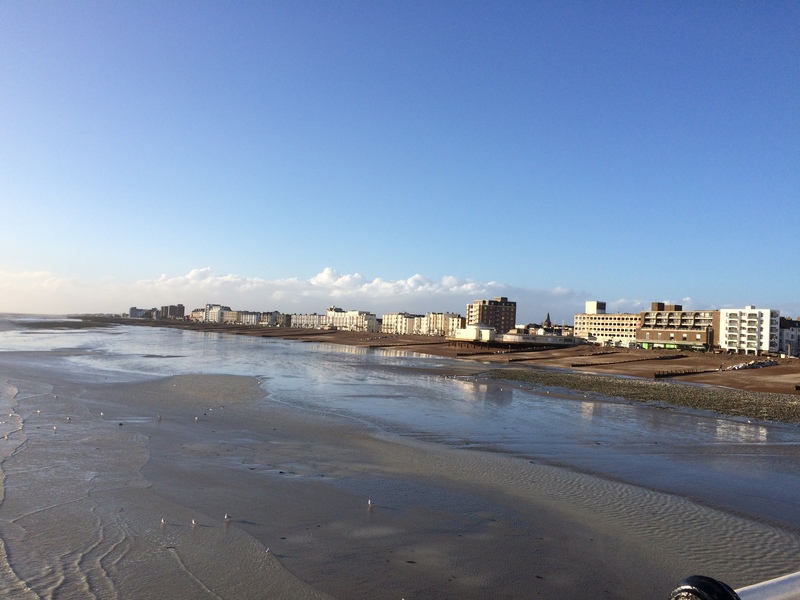 This time we were suitably dressed, gloved and hatted and we slowly made our way towards Worthing along the promenade collecting caches as we went. There are loads and loads of caches all the way along the promenade, every few hundred meters, so we decided to stay on firm ground in case the weather got worse. As it was, the sky cleared after about an hour and although very windy and cold, we ended up with a perfectly blue sky and found 14 caches before ending up at The Burlington Hotel for a very late lunch. Once fully repleted, we decided to stop caching and walk to the pier. It was an absolutely glorious afternoon and we strolled to the end where we had tea in the Southern Pavilion overlooking the water. A piano was playing in the background and there were only two other people in the Pavilion – perfect. We could have stayed there for hours. 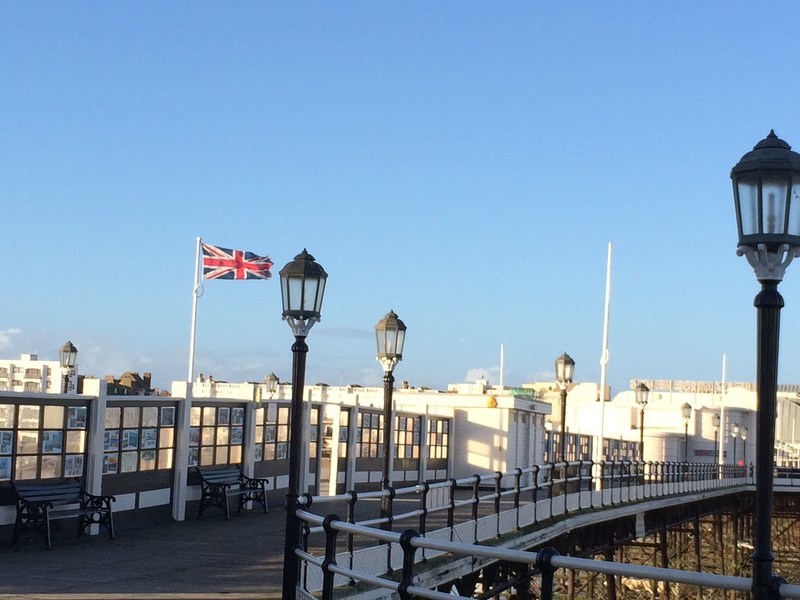 I was very impressed with the Burlington Hotel – a refurbished seafront hotel in the Victorian style – that unbeknown to Cockrobbinn I booked a couple of nights stay there for later in January as it’s his birthday. There is method in my madness as I thought we could continue our sortie along the promenade and find the rest of the caches, especially the one at the end of the pier. Just hoping for good weather next week! The following day we drove to one of my most favourite pubs of all time – The Crown and Anchor at Dell Quay. Although I spent the day showing Cockrobbinn a lot of my old haunts, we managed to fit in some geocaching at the same time – partly because the pub wasn’t open until 11am. 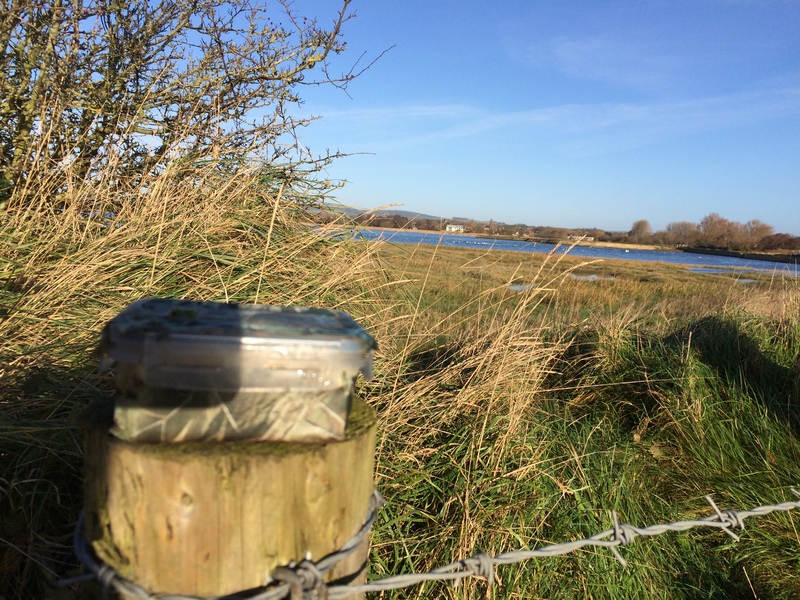 We parked in their car park and followed the footpath along the Fishbourne Channel and managed to retieve six caches in The Return series. We were so lucky with the weather – cold but sunny. 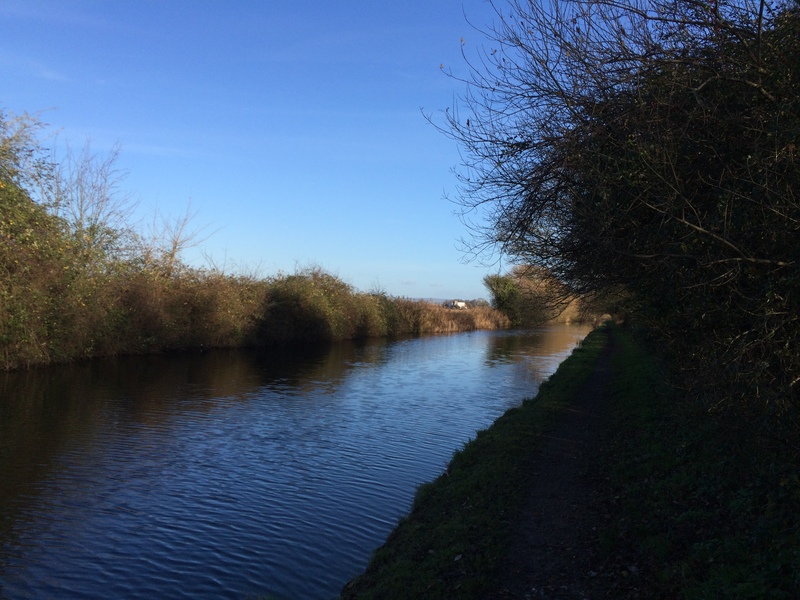 We collected a couple more caches on the way out of Dell Quay and headed just a short way towards the Witterings before we stopped by the Canal to collect three caches in the Lipchis Canal Wander. Deciding that was enough caching for the day, I took Cockrobbinn down to East Wittering to show him where I used to stay. 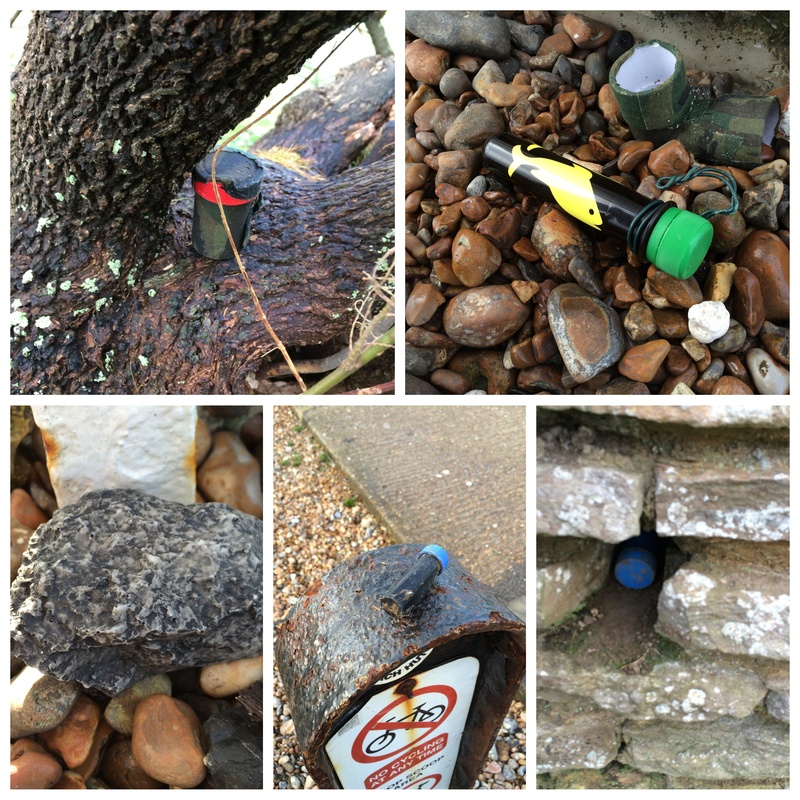 A few of the caches found along the promenade at Worthing. This outing took place on 7th, 8th and 9th December 2015 and took our cache total up to 487. 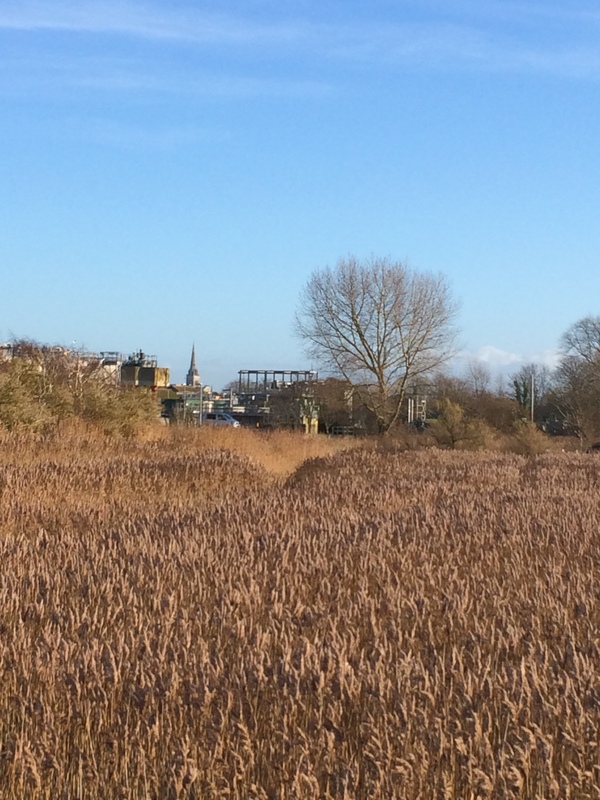 This entry was posted in Bosham, Caching, Geocaching, Worthing and tagged Bosham, Caching, Geocaching, Hobbies, Lipchis Canal, Pier, Promenade, Worthing. Bookmark the permalink. Hut Two, Three, Four def there but craftily hidden. Took us quite a while to find it and we almost gave up. It is so long since I’d been to Worthing and I’m looking forward to going back again next week to stay at The Burlington and to get some more caches. Your Worthing caches brought back memories for us too, as it was one of our rare sorties last year away from the Thames Path. We even recognise some of the caches from your photos! We found Hut Two, Three Four relatively quickly, but in replacing it, Mr Hg137 did place it perhaps a way bit too far under ! Glad you had a great caching trip. Looks like a stunning return to the caching side of life. That’s the beauty of it though I find, dip in and out, as much or as little as you like. I spent Christmas in Chichester and was hoping to go along the Lipchis Canal as it was close to where I was staying, unfortunately the weather was awful so I didn’t go out. I will return later in the year. I have just checked Worthing – goodness what a lot of caches, hopefully I can get there too. Great post as usual! We had our second visit to Worthing only this week and managed to finish all those from Ferring to Shoreham beach with one DNF which the CO is checking out. 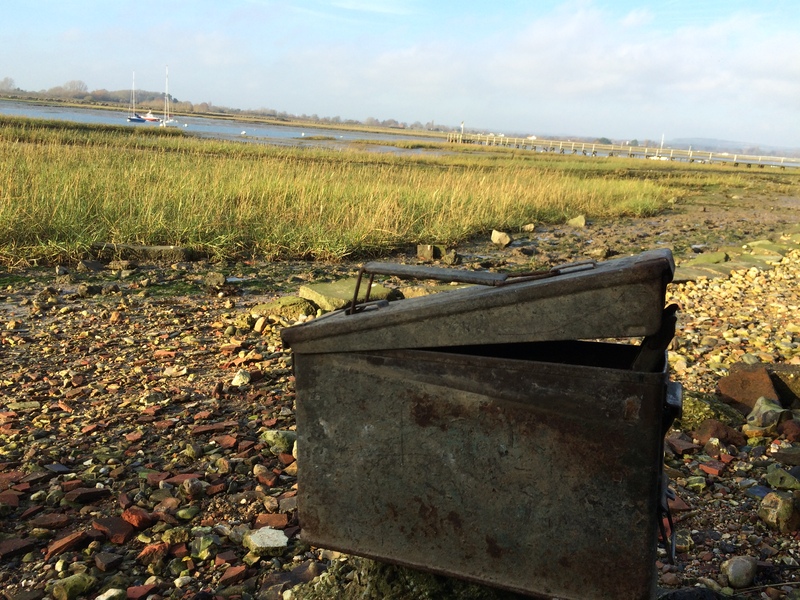 It’s a lovely place for caches – and we hope to return in the future to attempt the D2D circuit.